Lymphedema is the chronic swelling in parts of the body due to the lymphatic system developing abnormally or damage/trauma occurring. Although there is currently not a cure for this disease, it can be managed through treatment that is often an expensive out of pocket cost. Children that do not receive treatment are more prone to recurrent/life threatening infections, reduced function of the affected extremity, decreased self-esteem and eventual disability. Please join our efforts and donate to help children whose families cannot afford the necessary and life changing treatments to manage and control their lymphedema. 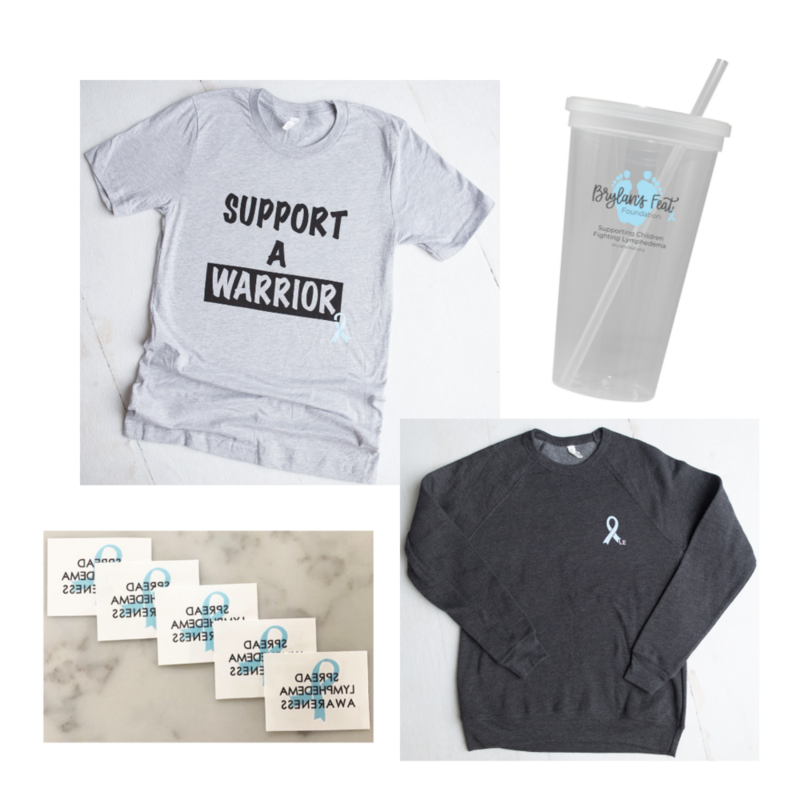 Support lymphedema awareness and purchase some of our merchandise. Proceeds from these sales will go directly to our awareness efforts. Your donation allows us to assist children in their fight against lymphedema by providing necessary treatment, spreading awareness, and helping to fund research to find a cure. If you/your child are financially struggling to acquire the medically necessary treatment to manage childhood lymphedema, please apply and let us be the resource to help.